Figure 1: A male adult narwhal swimming in front of the camp (credit: Clint Wright). The 2017 and 2018 summer seasons have been rich in experiences for Rozenn Le Net, Marion Jalenques and Karine Béland, three students at the Université de Montréal (CWHC-Quebec). These students trained as veterinarians had the unique opportunity to participate in a scientific mission that took place in Tremblay Sound on Baffin Island (Nunavut) in the Canadian Arctic. The Ecosystem Approach Tremblay (EAT) project, which was led by Fisheries and Oceans Canada, was a collaboration between several organizations such as Parks Canada, the World Wildlife Fund Canada (WWF), the Mittimatalik Hunters and Trappers Organization, Ocean Wise, the Government of Nunavut, Golder Associates Ltd., the National Polar Research Institute (Japan) as well as several universities researchers and students. This scientific project aims to gather data on the health of the ecosystem of this region. Various projects have been realized as part of this program, including projects on oceanographic data analyzes, characterization of zooplankton, monitoring of four species of fish (Arctic char, sculpin, Arctic cod and Greenland shark) using acoustic transmitters, inventory of seabirds, investigation of dietary habits with use of camera in nesting glaucous gull, and monitoring of marine mammals, such as narwhal, ringed seal and killer whale with tags and specialized hydrophones in some cases (narwhals). 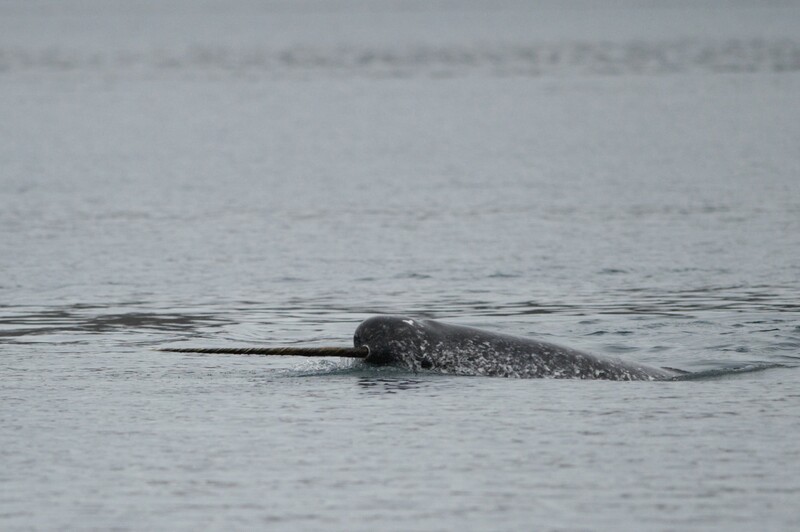 During the two last summer seasons, this project allowed, among other things, the deployment of satellite transmitters on 24 narwhals which will generate a large amount of valuable data on their migration routes and their biological functions such as dive patterns. Figure 2: Aerial view of the scientific camp (credit: Billy Junior Tagak). Arctic char, narwhal and ringed seals are key species in the Arctic ecosystem and are essential to the livelihood of Inuit communities. The data collected during this program will promote the conservation of these species and help with the development of sustainable management plans. In addition, during this project various biological data have been collected. These data will be analyzed in parallel with oceanographic parameters, such as water temperature and salinity as well as prey availability, presence of predators and the effect of marine traffic. All the data acquired through this project will provide valuable information on the Arctic animal populations and on the health of this ecosystem already disrupted by climate changes. 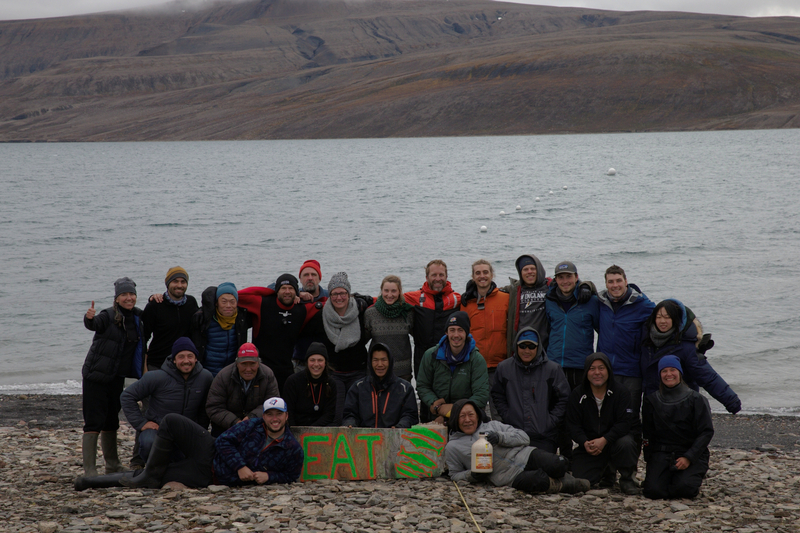 Figure 3: Part of the EAT project team, 2018 edition (credit: Kathy Heise). 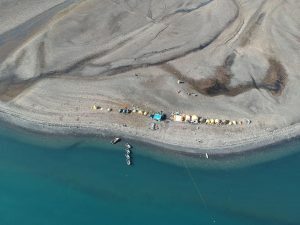 (Pond Inlet) Inuit community, researchers, veterinarians and students were involved in discussions about ways to optimize the work; the objective being reducing the impact of procedures on animals. There is no doubt that the learning experience acquired during this project have been rewarding for all. This wildlife health project is a good example of a multi-agency collaboration involving biologists, veterinarians and students, as well as members of local communities. The CWHC-Quebec is pleased to have had the opportunity to contribute to the acquisition of knowledge on wildlife health by sharing its expertise with partner agencies and academic institutions.